Syrian military and intelligence tracked the broadcasts of Colvin and other journalists covering the siege of Homs to the media centre. A US COURT has found the Syrian government culpable in the 2012 death of journalist Marie Colvin, ordering a $302.5 million (€264 million) judgment for what it called an “unconscionable” attack that targeted journalists. Colvin – a renowned war correspondent whose harrowing career was celebrated in the recent Golden Globe-nominated film A Private War — was killed in the Syrian army’s deliberate shelling of the Baba Amr Media Centre in Homs on 22 February 2012. According to the judgment, Syrian military and intelligence tracked the broadcasts of Colvin and other journalists covering the siege of Homs to the media centre. The federal court in the US capital cited the testimony of a former Syrian intelligence officer who was given the name Ulysses, who said that after the attack, Syrian officers celebrated the news that Colvin had been killed. Judge Amy Berman Jackson ruled in favour of the complaint by members of Colvin’s family that her death was an extrajudicial killing in violation of the Foreign Sovereign Immunities Act. 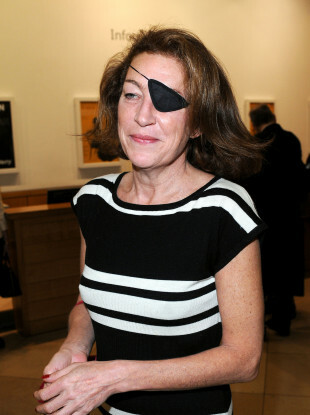 “Marie Colvin was a journalist who was killed by the Syrian government while reporting on the atrocities occurring during civil war,” Jackson wrote. Cathleen Colvin, who brought the lawsuit with her three children, said: “It’s been almost seven years since my sister was killed by the Assad Regime, and not a day goes by when I don’t think of her. “Marie dedicated her life to fighting for justice on behalf of the victims of war and ensuring that their stories were heard,” she added. Colvin, who was 56 and working for the Sunday Times when she died, was known for her fearless reporting and signature black eye patch — the consequence of losing sight in one eye in an explosion during Sri Lanka’s civil war. Actress Rosamund Pike played her in Matthew Heineman’s feature film A Private War, which was released in November to critical acclaim. Email “US court orders Syria to pay $302.5 million over death of war reporter Marie Colvin”. Feedback on “US court orders Syria to pay $302.5 million over death of war reporter Marie Colvin”.